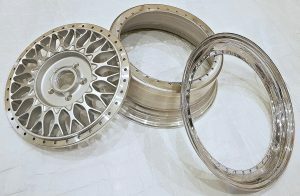 We can refurbish and rebuild Split Rims. We offer ceramic High polishing and chroming & Gold plating from our partners in Germany. Parts need to be sent away. Pricing depends on what you are having done – contact us to discuss requirements. 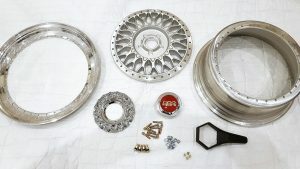 We also offer step up kits (dishes, barrels and hardware) 16-18, 17-18, 18-19 for various makes.